Following the success of the last few years, Valletta will once again be hosting the national New Year’s Eve celebrations, a highly-anticipated event which brings hundreds of people together to celebrate the start of the New Year. 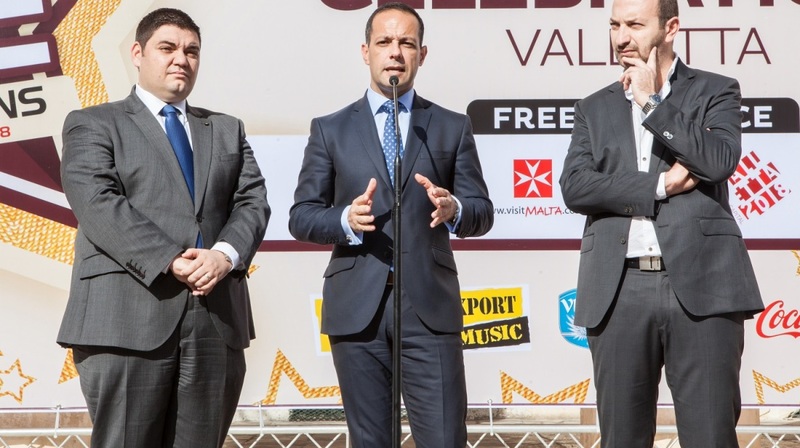 The festivities are being organised by the Valletta 2018 Foundation in collaboration with the Ministry for Culture, the Ministry for Tourism and the Valletta Local Council. The main stage will be situated in Pjazza San Ġorġ which will be filled with music by some of Malta’s top local artists and bands including The Crowns and Musique as well as a peformance by an orchestra, comprising various members from the Malta Philharmonic Orchestra, led by Sigmund Mifsud. Musical arrangements are being carried out by Mifsud, who needs no introduction when it comes to creating an atmosphere for a large-scale event. The show starts at 8pm and features special guests Glen Vella, Kevin Borg and others. Deejays Pierre Cordina and Clint Bajada, who will be hosting the night, will be playing some of the best hits from 2015 before the colourful 3D Architectural Mapping Projection show lights up the façade of the Grandmaster’s Palace. The show will have a special countdown to signal this year’s final moments and will be accompanied by stage pyrotechnics and fireworks which will be let off from rooftops around Pjazza San Ġorġ. The 3D projections project is the result of a collaboration between the Valletta 2018 Foundation and the MCAST Institute for the Creative Arts. 3D projection shows will commence on the 23rd December. Following the projections show, Gianni Zammit and Pawlu Borg Bonaci will be performing standup comedy and deejays Pierre Cordina and Clint Bajada will continue to play music to celebrate the first hours of the year 2016. The organisers have taken great care to include the public during the festivities to be part of the atmosphere.